I’ve been asked to create this itinerary by Discover Car Hire, who are sponsoring this post. My first experience of Portugal was a marvellous two-week family road trip exploring Porto, Lisbon and the Silver Coast. Our kids were 18 and 13 years old at the time, and the holiday was a balance of cultural visits, foodie experiences, beach trips and time to relax. We hired a car from the airport when we arrived, and stayed in city hotels as well as a beachside apartment. 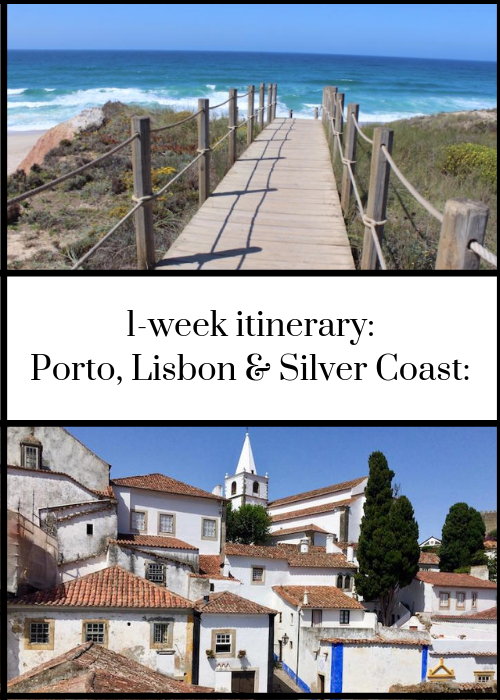 I’m sharing my suggested seven-day itinerary starting from Porto, travelling down to Lisbon and then back up the Silver Coast to Porto. If you have more, or less, time you can adapt the plan to spend longer in each place, or miss out some places en route, obviously. Fly to Porto Airport (around 2.5 hours from London) and pick up a hire car from there. Drive to the Sheraton Porto Hotel & Spa, a five-star hotel in the city’s business district. Porto is on Portugal’s Atlantic coast, just over 200 miles north of Lisbon, the nation’s capital. Built along the hillsides at the mouth of the River Douro, Porto has a long history as a great trading city. It’s a vibrant, captivating place, and its historic centre is a UNESCO World Heritage Site. It’s worth spending a couple of days here, if you have time. From the Sheraton you can travel to the city centre by metro and then explore on foot. 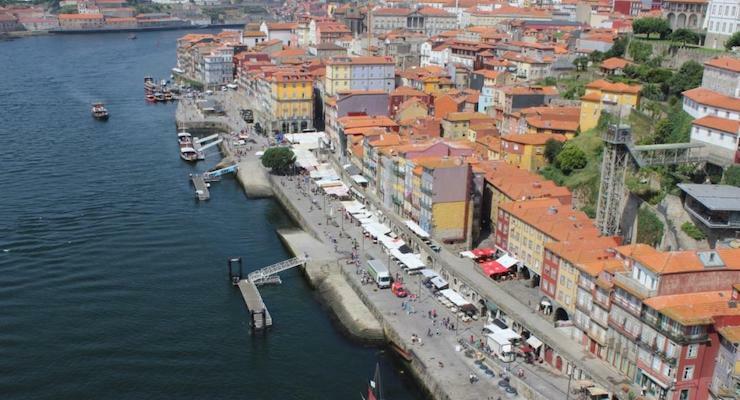 Head for the historic Ribeira district by the river which is buzzing with pavement cafes and restaurants and is dominated by Dom Luis I bridge. Recommended Porto highlights are the port wine lodges (we enjoyed a tour of Taylor’s Port Cellars one morning), the Livraria Lello bookshop where J. K. Rowling once worked on the first Harry Potter book (arrive early as there are long queues to get in) and the astonishing tiled interior of Saõ Bento train station. Set off first thing to drive to Lisbon, and stop off en route to explore and have lunch in the medieval university city of Coimbra, which was Portugal’s capital until it was replaced by Lisbon in 1260. In Lisbon stay at the Fontecruz Lisboa, a 5-star boutique luxury hotel in a great city centre location. 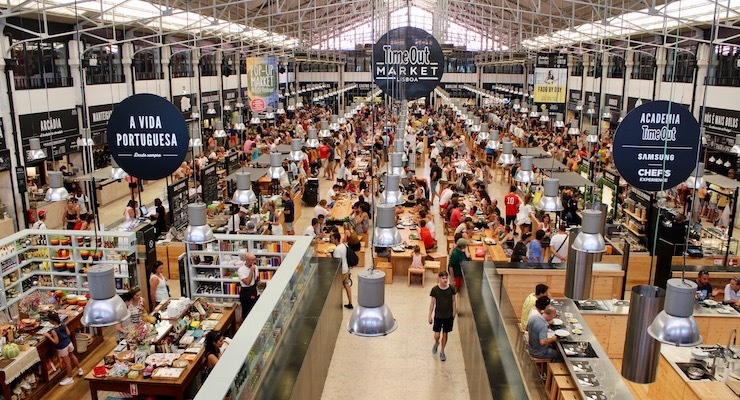 Lisbon is built on seven hills overlooking the Atlantic, and is a beautiful, ornate city. I’d recommend staying here for at least two nights as there’s a lot to see and do in the Portuguese capital. Recommended highlights include eating at the marvellous Time Out Lisboa gourmet food hall (this was the top foodie experience of our whole trip), travelling around on the city’s vintage tram network (we enjoyed route number 12 around the historic castle area) and an early morning walk around the narrow cobbled streets of the Alfama district. For a stay on the coast, away from the cities, leave Lisbon and drive to Praia D’El Rey Marriott Golf & Beach Resort. On your way, stop off for lunch in the hills at Sintra, and take some time to explore the UNESCO World Heritage listed historic city centre. 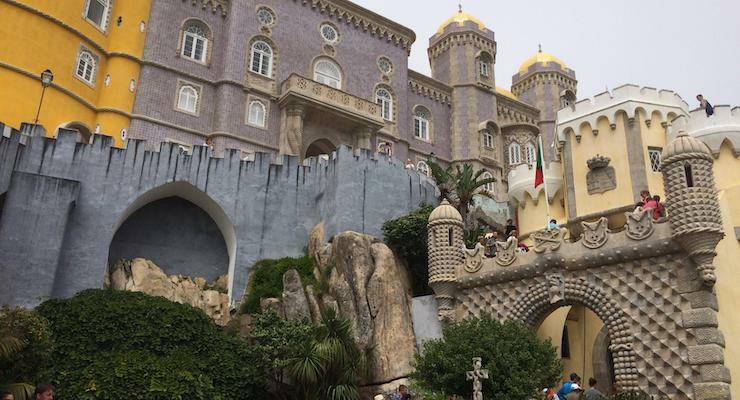 Over the course of six centuries, generations of Portuguese royalty holidayed in Sintra, and there are pastel-hued palaces wherever you turn. 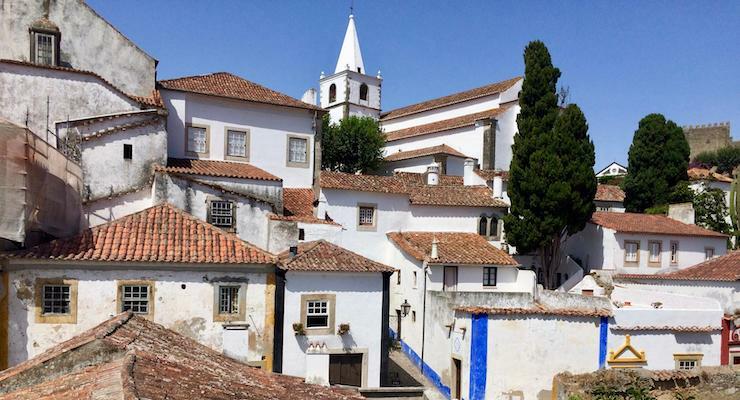 Spend a day at the beach, or exploring Óbidos, or both. Óbidos was my favourite place that we visited on this trip. It’s around 18 kms from Praia D’El Rey, and we went there three times during our stay as we liked it so much. It’s a beautiful, historic, walled hill town with whitewashed houses, red-tiled rooftops and cobbled streets. You can walk around the walls (if you’re brave enough – there are no barriers) for views across the town and across the surrounding countryside. The castle is a pousada – a luxury historic hotel – and this would be a great place to stay as an alternative to Praia D’El Rey, if you don’t want to be by the beach. Drive to Porto for your flight home, stopping off at picturesque Nazaré if you have time. Nazaré is a popular, traditional Portuguese coastal resort. It’s famous for the giant winter waves which break by the town’s north beach and which attract extreme surfers from around the world. Take the funicular from the beach up to O Sitio for views of the town and the coast. Drop off your hire car at the airport and head inside to catch your flight home. We always hire a car for this kind of family trip. As there are four of us, it’s more cost-effective to hire a car than it would be to travel by public transport, and it’s more relaxing. Having a car when we’re travelling also gives us the flexibility to go wherever we want to go, whenever we want to go there – although obviously when we’re in cities we park the car and use public transport or explore on foot. Do you have any tips to add for interesting things to see and do in this part of Portugal? Do you have any questions about our trip? Disclosure: This post is sponsored by Discover Car Hire. The ideas, words and images within the post are all my own, as ever.